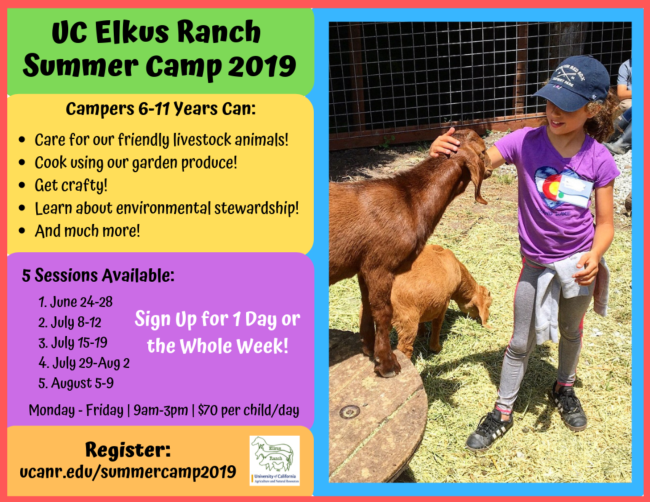 Join us for Summer Camp 2019 at UC Elkus Ranch Environmental Education Center! Kids 6-11 years old can spend the day at the ranch learning how to care for our livestock animals, cook using produce from our gardens, make crafts, learn about environmental stewardship, and much more! Monday- Friday, 9am-3pm | Sign up for 1 day or the whole week!